Temptech Engineering (M) Sdn Bhd specializes in the service, maintenance, repair, supply, installation and upgrade retrofitting all types of air-conditioning equipments and systems. Our office is located in Puchong, Selangor. Temptech Engineering (M) Sdn Bhd added 24 photos to the album - Project Installation Testing Commissioning. Temptech Engineering (M) Sdn Bhd added 22 photos to the album - Modification & Installation of Chilled Water Pipe & Fan Coil Unit. Temptech Engineering (M) Sdn Bhd added 26 photos to the album - Cold Room Project (2011-08-08). Temptech Engineering (M) Sdn Bhd added new photo in Carrier - Water Cooled Chiller Category. Temptech Engineering (M) Sdn Bhd added new photo in Carrier - Centrifugal Chillers Category. Temptech Engineering (M) Sdn Bhd added 4 photos in Carrier - Air Cooled Chiller Category. Temptech Engineering (M) Sdn Bhd added new photo in Carrier - Air Cooled Chiller Category. Temptech Engineering (M) Sdn Bhd added new photo in Carrier - Compressor Category. 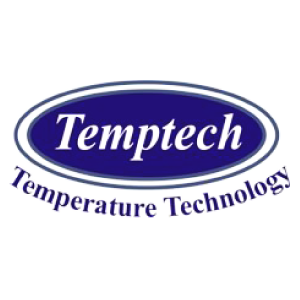 Temptech Engineering (M) Sdn Bhd added 5 photos in Acson - Water Cooled Condensing Category. Temptech Engineering (M) Sdn Bhd added new photo in Acson - Ceiling Casette Category. Address: 22, Jalan Puteri 5/16, Bandar Puteri, 47100 Puchong, Selangor, Malaysia. Address: 18-G, Jalan BPU 1, Bandar Puchong Utama, 47100 Puchong, Selangor, Malaysia.